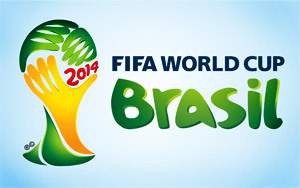 FIFA World Cup is the Biggest Tournament in the World hosted every four years. Overview of this tournament are given here. Tournament No. 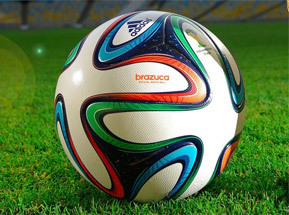 : 20th FIFA World Cup Tournament. Total Teams: 32 Teams participating the tournament. Total Matches will be played: 64 Matches. Uruguay- 2 Times ( 1930, 1950). Referees: 25 referee trios and eight support duos representing 43 different countries. Preparation costs for Each Team: US$1.5 million. Golden Boot – Top Goal Scorer. 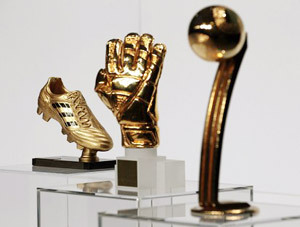 Golden Glove – Best Goalkeeper. Best Young Player - Selected by the FIFA Technical Study Group. FIFA Fair Play Trophy- For the team with the best record of fair play. Meaning of the name: "National pride in the Brazilian way of life", and "mirroring their approach to football, it symbolises emotion, pride and goodwill to all". Production: The ball is produced in Sialkot, Pakistan by Forward Sports and in China. Follow this http://en.wikipedia.org/wiki/Adidas_Brazuca link to check more. New in Final Match: Will be Used a Technology Called Goal-line Technology. An Electronic device to determine when the ball has completely crossed the goal line. 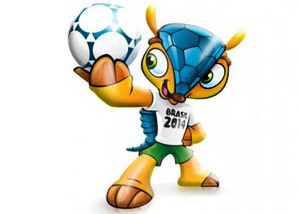 The Mascot: Fuleco (An Armadillo Animal) the part 'Ful' comes from Futebol (Football) and 'eco' comes Ecologia (Ecology) . Fuleco is seen as a cheerful and appealing personality. Slogan: "All in One Rhythm". Represents: Brazilian culture where rhythm is everywhere.